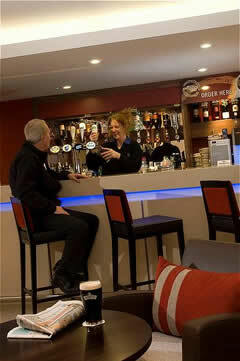 Just minutes from the Terminal building rates include free breakfast with a continental and hot selection. All rooms have triple-glazing, air conditioning, Wi-fi access, hairdryer, tea & coffee making facilities, satellite TV with pay movies, ensuite power shower and a work desk with lamp. 87 rooms which are designated as non-smoking. Smoking is permitted in seven designated guestrooms. A.From the south via M42/A42 follow the signs to Nottingham East Midlands airport. At the end of the A42 follow the signs for A453. 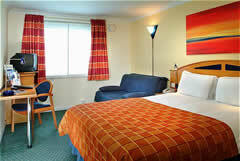 The hotel is located on Pegasus Business Park. From the M1, exit at Junction 24 and follow the signs to Nottingham East Midlands airport (A453). 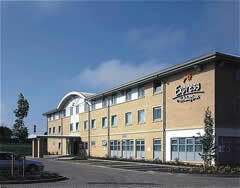 The hotel is located on Pegasus Business Park.